Between 8 am - 1 pm and 3 - 5 pm. After hours please use email only. Advance booking and 50% deposit is required on all below to confirm the reservation and booked activities. This is NOT refundable. Laundry and Ironing R 30 per person per day. WIFI – free, unless usage is high. Only in certain areas. There is NO TV. Under 12 years half price on accommodation price only. Family discounts available. A 50% deposit on accommodation, activities and meals is required to confirm a reservation. This is non refundable. Payment of deposit by bank transfer to our account or credit card (Visa, Mastercard or American Express). Balance due on arrival in South African RAND CASH ONLY. No credit card, debit card or cheques accepted for final payment. 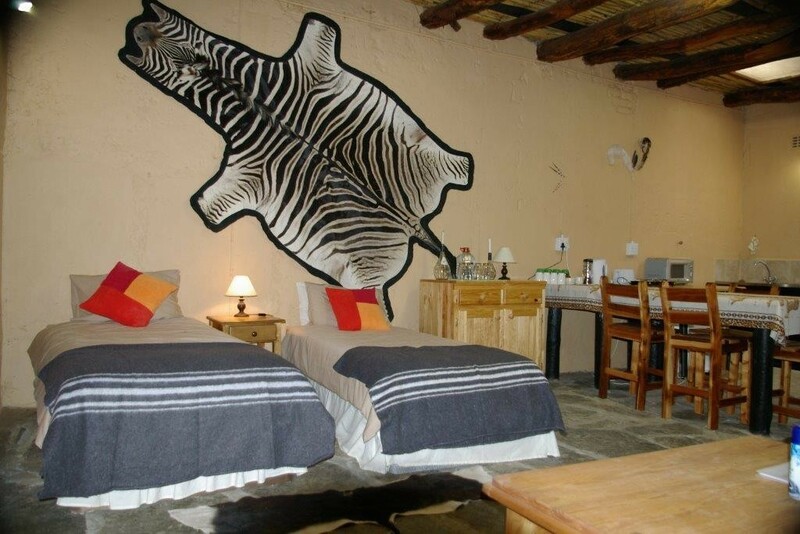 Clifton Game Farm (3440ha), which is home to Karoo Pred-a-tours, lies in the beautiful malaria free Karoo. 60km north west of the quaint and historic little town of Cradock and only 100 km east of Graaff-Reinet. We are home to 21 antelope species, 29 small mammal and reptile species and over 200 bird species are present (checklists available). Karoo Pred-A-Tours is also home to a program designed to protect and bring to public awareness the lesser known cats of the Karoo. Activities need to be booked in advance. We can sleep up to 18 people. Taste our prime Organic Game meat and Organic Karoo lamb & both are FREE RANGE!! For those who prefer to self cater, we do have limited groceries, lamb and game meat available to purchase. Advanced orders REQUIRED! 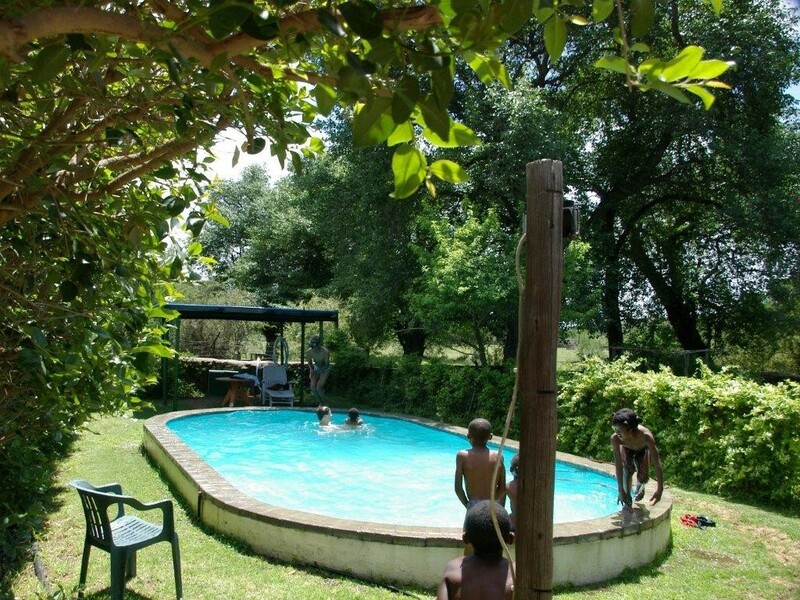 The swimming pool, available to all guests, is situated next to Rondavel complex. 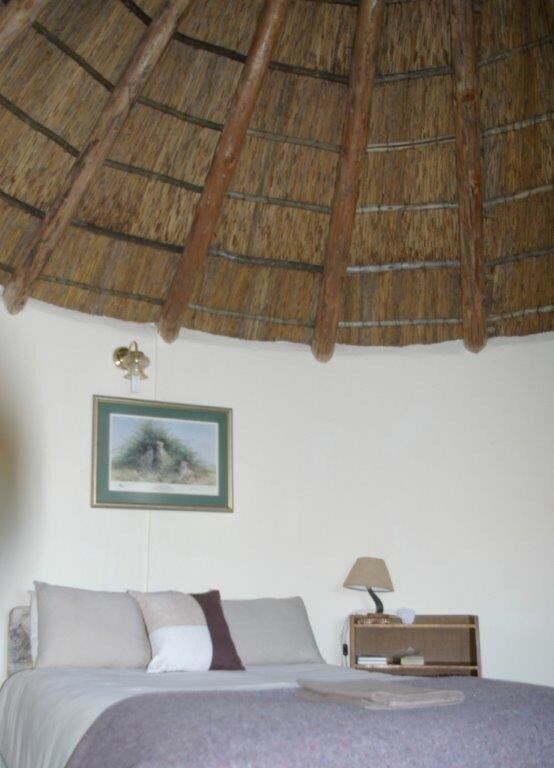 There is a thatched rondavel complex which can sleep a maximum of seven people. 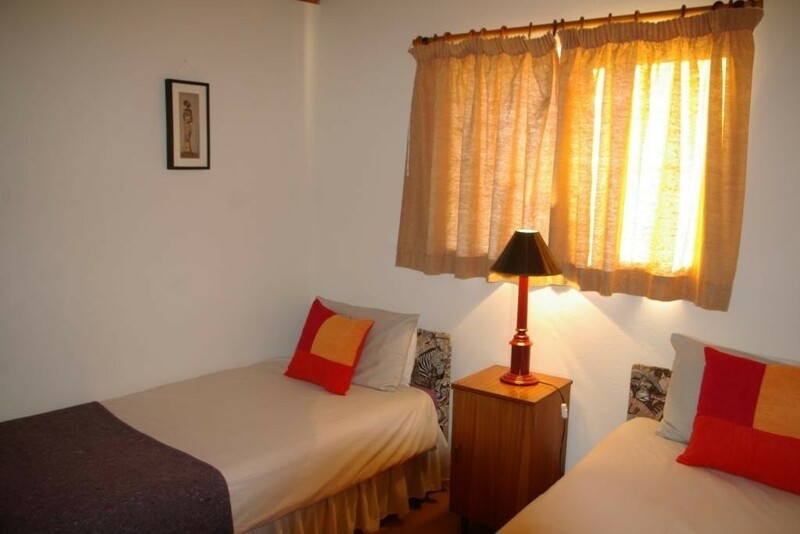 This has three en-suite bedrooms, two doubles and one with a double and a single bed. 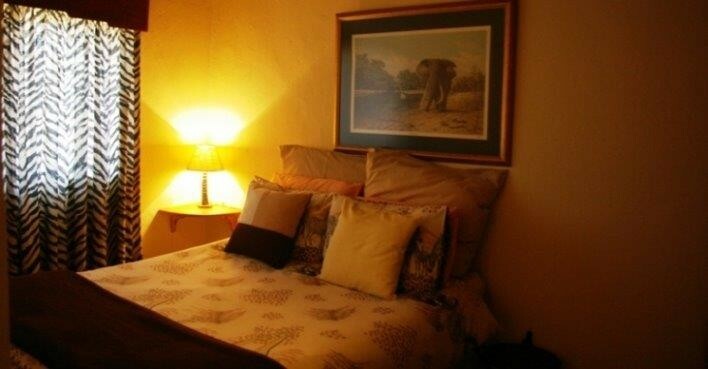 The rooms are very comfortable and fully furnished with all amenities The rondavels are mainly for guests who also want meals as they do not have self catering facilities in them. We can now offer an outdoor catering around for rondavel guests who would prefer to do their own catering. The outdoor area is situated under a 100+ year old pear tree in the garden! 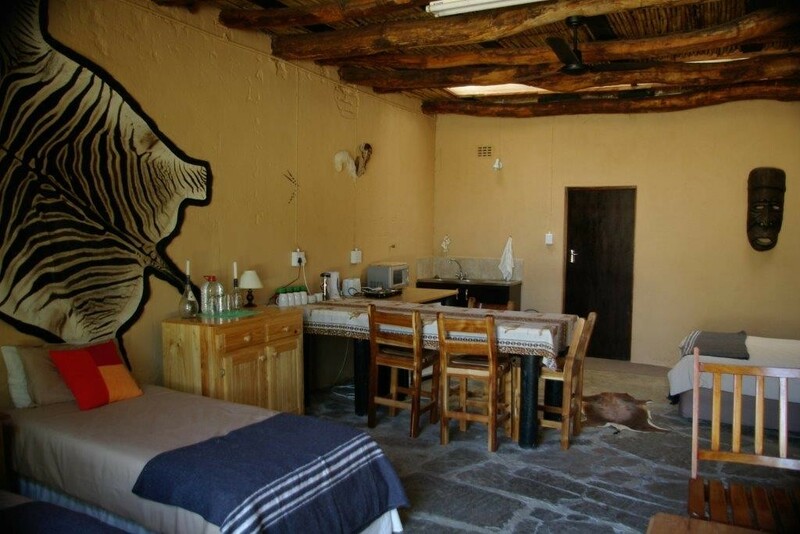 It is a canvas & wood roofed area that has a bar fridge, microwave, toaster, kettle, 2 plate hot plate and outside braai. The 2 Cottages have an outside braai & gas skotel braai which can be moved under a roof if there should be rain, strong wind or for shade. There is NO stove. There is a 2 plate hot plate, kettle, a toaster, microwave and bar fridge. 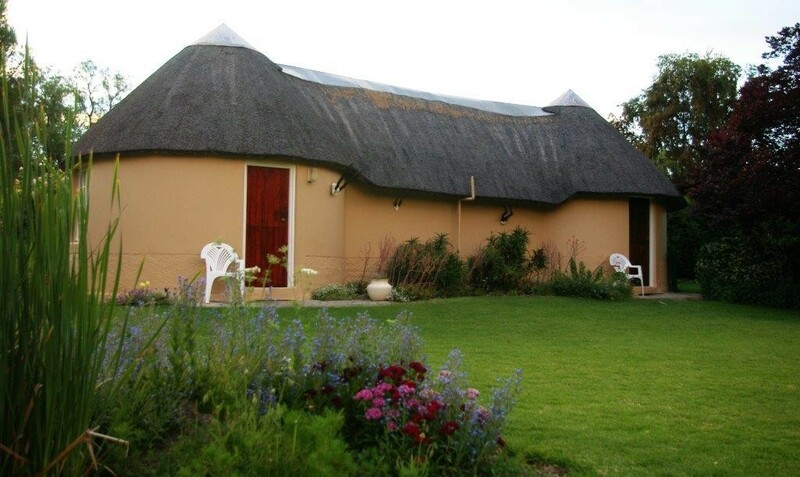 Bush Cottages: one with double bed and 2 singles in the lounge & en suite bathroom. The other cottage has a room with 2 single beds, bathroom and lounge. Cottages also have a bar fridge with small freezer section and has all cutlery, crockery etc for full self catering. 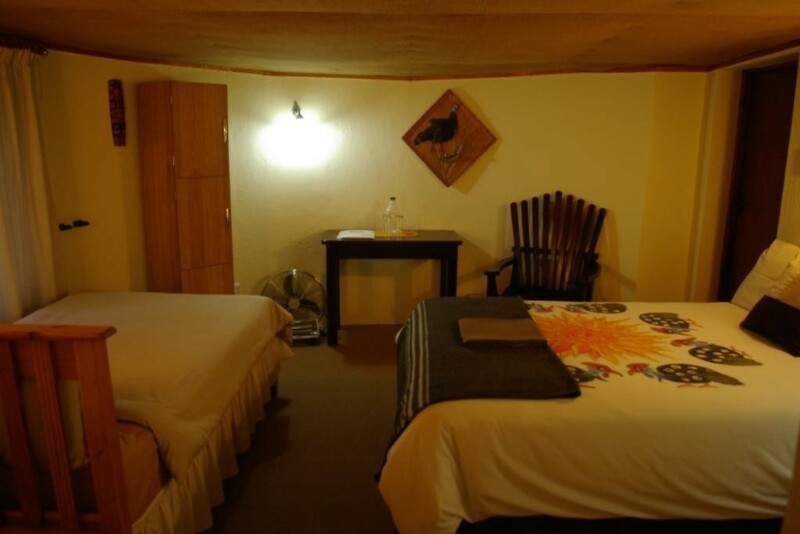 A lodge with lounge and dining area are available. 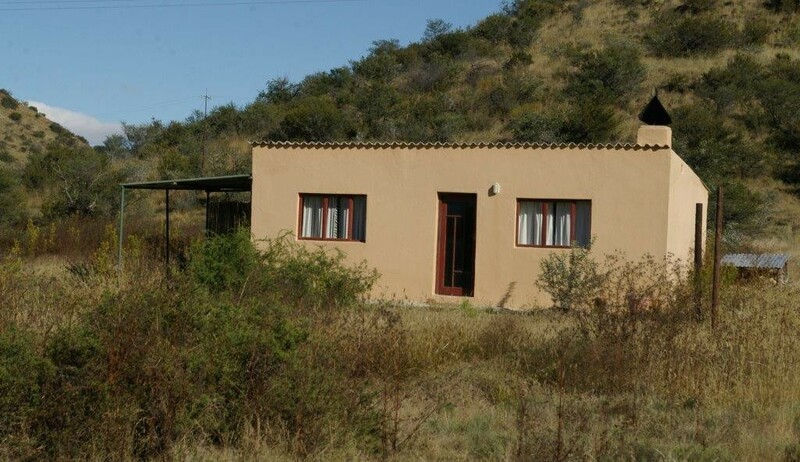 This open plan self catering unit contains 2 single beds and 1 double bed with a kitchen area. Bathroom is ensuite with a toilet and rock shower. 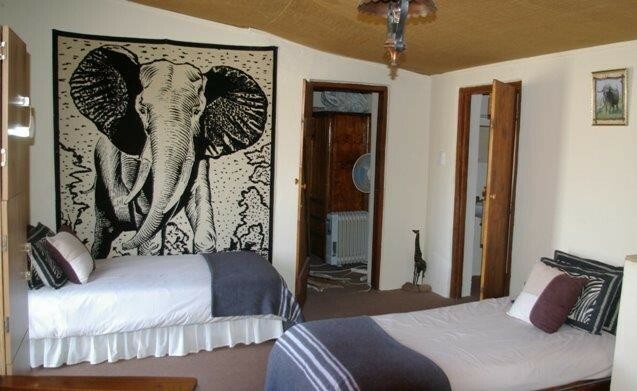 This room is situated next to the lodge and is in the original "Wagenhuis" built in the late 1800's. We have kept all the original features. The unit has a bar fridge, 2 plate hot plate, kettle, toaster, microwave and outside braai. This is a free standing unit with 2 bedrooms, 1 bathroom, an open plan kitchenette/lounge area with an outside braai. We are situated 60 km north west of Cradock and 100km north east of Graaff Reinet in the Great Karoo. Take the Aloedale / Fish River Station turnoff off (onto gravel road) from the R61 between Cradock and Graaff-Reinet. (The Aloedale turnoff is 50 km from Cradock on your right and 90 km from Graaff-Reinet on your left). Follow the road for 10.6 km to our signs - (from the tar, just before the second grid, there is a turnoff to the left "Montagu": do NOT take this, keep straight on). Continue to signs "Clifton, Richard Holmes Safaris, Cat Conservation Trust". Turn left at these signs, go through the river and up to the lodge, about 1 km. Please call before you leave town so we know when to expect you in case the river is too deep, which rarely happens. Most of the time the river is only a small puddle which any car can cross. Our GPS reading is : S 31 56.346 long; E 25 11.717 lat. Collection from Cradock, Graaff-Reinet and Port Elizabeth: price on request.